Do I have to accept the student loan on my Award Letter? If I accept my federal loan award, how will this affect other forms of student aid? Full-time awards for undergraduate, credential, 2nd BA, and Post Baccalaureate Unclassified (PBU) students is based on enrollment in 12 or more units each semester with a minimum total of 24 units for the academic year with at least a 2.0 GPA. Full-time for MA/MS Candidates and Doctoral candidates is based on enrollment in 8 or more units each semester, with a minimum of 16 units for the academic year with a minimum 3.0 GPA. These requirements are prorated for those who are funded as three-fourths, half-time, or less than half-time students. Students who withdraw may be required to make a repayment. Any information received that affects eligibility may result in necessary adjustments and/or reductions at any time during the award period. Students whose tuition fee and/or dormitory fees were paid through financial aid funds are not eligible for a refund if they withdraw. The refund will be used to reimburse the financial aid programs used to pay the tuition fee. As a student consumer and financial aid recipient, you have definite rights and responsibilities. 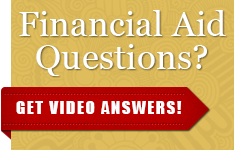 Know which financial aid programs are available to you. Know the deadline for submitting application materials. Know how your eligibility is determined. Know how recipients are selected from the group of eligible applicants. Know how and when awards are disbursed. Know which portions of your award must be repaid (and the terms of repayment) before you accept or receive any funds. Challenge or appeal your award, or any decision pertaining to your award. Receive a notification or explanation of any reduction, cancellation or withdrawal or your award. Completing application materials on time each year. Read and understand all forms, and keep your own copy. Promptly reporting in writing the receipt of tuition fee assistance from other sources: Vocational Rehabilitation, Veterans Administration, employers, etc. or receipt of financial aid from another college or university while you are enrolled on this campus. Paying tuition fee and/or campus housing costs from other resources if your award is reduced, withdrawn or cancelled. Formally declining your financial aid award and withdrawing your registration if you decide not to attend Stanislaus State. Completing entrance/exit interview counseling if you receive a Federal Perkins Loan, or Federal Student Loans. I affirm that I will use any funds I receive under all Federal, State, and University financial aid programs solely for expenses related to attendance at California State University, Stanislaus. I understand that I am responsible for repaying any funds that I receive which cannot reasonably be attributed to meeting my educational expenses at California State University, Stanislaus. I further understand that the amount of any repayment is based on the regulations published by the Secretary of Education. I also affirm that I do not owe a refund on a Pell Grant, or a Supplemental Grant, nor am I in default on a Perkins Loan, Federally Insured, Guaranteed, Stafford, SLS or PLUS previously received at this or any other post-secondary institution, and have nor borrowed in excess of the loan limits under the Title IV programs at any institution. I understand that this award is contingent upon final approval and receipt of funds from Federal and State agencies, and it is valid only if I am enrolled as a student at California State University, Stanislaus during the period(s) covered by the award. I authorize California State University, Stanislaus to deduct payment of deferred tuition fees current year room and board due to the institution, and any university debt from my financial aid award. I authorize California State University, Stanislaus to use my Cal-Grant B Access (if applicable) to pay for any University debt I owe. I understand that if I want to revoke my authorization, I will have to contact the Financial Aid Office at Stanislaus State in writing before my grant is disbursed. If I am attending two schools, I understand that I can receive aid at only one school. I must report this to the Financial Aid Office. I understand, agree, and accept that any overaward is an educational loan and will survive any bankruptcy filing on my behalf and will not be discharged by any bankruptcy proceedings.